JP Richardson Jr, son of the Big Bopper of Chantilly Lace fame, died this week in Texas at age 54. 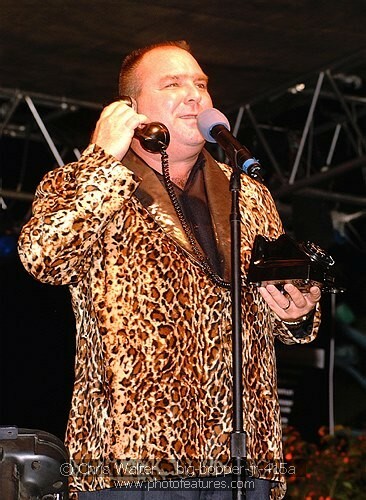 I had seen "Big Bopper Jr" perform several times at the Winter Dance Party Tour when it came to southeastern Wisconsin. His performance would have made his Dad proud. I had the opportunity to meet him and speak with him after one of the shows. He was cordial and funny, and it was clear he enjoyed being a part of his father's legacy. It will difficult to attend future WDPs because JP Jr. was a true link to history, and he will surely be missed. Condolences to the Richardson family and a great big "Thank You" to them for sharing their husband/father/grandfather with the rest of us by allowing JP to tour. He brought so much happiness to thousands of people.